Don't come down from that July 4th high just yet, because there's another reason to celebrate America this week and, well, I don't know how else to put this, but he's kind of a big deal. Not only do people know him, but he also has many leather-bound books in his apartment, which smells of rich mahogany. 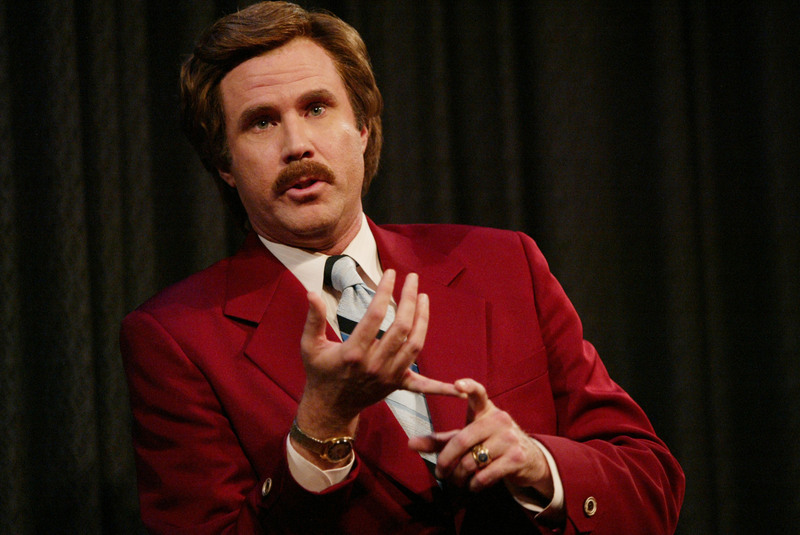 I'm talking, of course, about Ron Burgundy — America's favorite anchorman. It's kind of hard to believe, but this Wednesday marks the 10th anniversary of the first time we were introduced to Mr. Burgundy in Anchorman: The Legend of Ron Burgundy, one of the most beloved comedies of our time and the source of so many wonderful one-liners. With his iconic suit and perfectly coiffed hair, Ron Burgundy is no doubt one of Ferrell's most recognizable film characters. Sure, Mr. Burgundy made us laugh, but it was his sense of style that made him all the more memorable. Really, who would he be without that well-groomed 'stache? I can only believe that Mr. Burgundy was so style savvy because of Ferrell's impeccable eye for fashion. The guy really has a knack for pulling off bold looks. So, in honor of the film's 10th anniversary, here are 10 style tips that we've learned from Will Ferrell. Ferrell shows us that there's no reason to be afraid of color. Different fabrics can add dimension to any look. Wear the leggings, don't let the leggings wear you. Again, this one is all about confidence. And by always, I mean usually. If you're having doubts, go with your gut. Ferrell borrowed Shaq's custom-made suit for the premier of Semi Pro back in 2008. Know that whatever you wear will be better than the combination of a hairy belly and a crop top. Sometimes it's best to stick with the classics. Whatever you're wearing, stay classy, Bustle readers.